As a book, The Right Spouse is structured around a series of “not normal” conversations, mostly with men, some young, some older, often told with some anguish, but recounted with exemplary clarity and pity by the author, the foreign ethnographer “who weeps easily at that.” The conversations concern marriage in general, and the lingering pain of particular marriages and their consequences. In places, reading it feels less like reading ethnography as we know it, and more like reading, say, Chekhov or William Trevor, writers capable of evoking psychological depth from the small details of ostensibly ordinary lives. Marriage, Clark-Decès explains early in the book, is only “abstract, impersonal and objective” for anthropologists, but personal (“even intensely personal”) for “everyone else” (11). I went to buy a palanquin for the procession. I came back alone in the middle of the day. I went to buy jasmine for the bride. The flowers had to be thrown on the sand. I went to build the marriage stage. There was no auspiciousness. I went to meet the bride. There was no red powder. I lived in love. There was no semblance of reality. I lived in love. There was no possibility. On the day of his disappointment Mayandi sang this song to himself again and again. Then he lay down on a narrow footbridge in the village and wept. He still returns to the spot as often as he can at night. For 20 years he refused to marry, recording his sadness in poems which he kept entirely to himself. Eventually he conceded to family pressure and married his current wife in 2000. Although they now have two children, he is clear his entire life has been shaped by his failure to marry the right spouse, the cousin he was supposed to marry all those years ago. My father was the firstborn child: he had twelve brothers and five wives. His first three wives left and remarried. Why did they leave? My father was a bad man, a womanizer. Other than that he was a good fellow. Because he was the eldest, people respected him. But again and again he had affairs. The fourth wife didn’t like it either. After she gave birth to three children, she committed suicide… For many years afterwards my father didn’t remarry. He didn’t need to; he had lovers… in every village. Neelam rushed home but his son was dead by the time he got there. In between the two deaths is a long, picaresque narrative of hardship, and involvement in petty crime, through the mediation of two mysterious conmen who lure Neelam with the promise of counterfeit currency. A spell in jail eventually puts paid to his promised marriage to the right bride, his elder sister’s daughter. When the sister refuses to arrange the marriage, his brother finds him an alternative bride, another relative, living in Kerala. He is reluctant to commit but his brother says he has promised the girl’s family and he can’t back down. His elder sister then changed her mind and tried to reinstate the original marriage with her daughter, but the brother put his foot down. In the end Neelam’s marriage was the worst of all worlds, without love and without the approval or participation of most of his family. The stories of Neelam and Mayandi are formally mirror images of each other. Mayandi expects to marry a cross-cousin, it is his right, but this right is denied to him and he instead, and many years later, marries his eldest sister’s daughter. Neelam expects to marry his eldest sister’s daughter, but this is denied him, and he finds himself coerced into marriage with another, more distant, relative. Both see their lives as irrevocably damaged by the failure to marry the woman who they believed was theirs by right. The hinge connects the anthropological past of Tamil kinship to the rapidly changing world of actually existing kinship and marriage in the present. The past is dominated by the idea of “Dravidian kinship” and the somewhat forbidding literature it has generated. The present is marked by a major shift away from close kin marriage among young people, in a social and emotional landscape where, for some at least, suicide has become an increasingly common route out of the impossible ties of family. The Right Spouse starts with a deft and properly respectful summary of the long history of anthropological interest in “Dravidian kinship.” Clark-Decès makes clear her view that the work sedimented in that long history was, as she puts it, “misguided from the start.” Yet she is equally clear in her desire to return South Indian kinship and marriage back to the centre of anthropological attention. What was misguided in previous studies was the idea that terms of relationship – kinship terminologies – carry inherent implications for social relations. That idea was most pithily summed up in the second part of the title of Dumont’s celebrated 1953 article, “The Dravidian Kinship Terminology as an Expression of Marriage.” Dumont’s idea of terminology as an “expression of marriage” was simply the latest iteration of an argument that goes back to Lewis Henry Morgan’s attempt to tease out the organizational principles embedded in the language of relationships, in which “Turanian” (Tamil) kinship terms provided a crucial case in the original Systems of Consanguinity and Affinity of the Human Family. Dumont’s schematic 1953 paper (rather than his richer and more nuanced ethnography of the Pramalai Kallars (1957/1986)) towers over the subsequent literature. It made marriage central to any understanding of Dravidian kinship, and therefore aligned itself to some extent with Lévi-Strauss’s Elementary Structures of Kinship, which had appeared a few years earlier. Dumont’s argument, though, is considerably tidier than Lévi-Strauss’s own brief remarks on Dravidian systems (themselves a comment on an earlier argument from Rivers). The Dravidian universe of kinship, Dumont argued, is internally divided between kin and affines. Kin and affines are then tied back together through relations of alliance, established and re-established through marriage. South Indian languages equate the spouse with the cross-cousin of the same generation, making one kind or other of cross-cousin marriage paradigmatic for the whole system. This is the version of “Dravidian kinship” which has become a frequent point of reference for anthropologists working in areas like Amazonia. Unfortunately, it is not a version that entirely corresponds to South Indian realities. There, as Anthony Good pointed out in a series of meticulously documented papers in the early 1980s, the most common kind of close kin marriage is in fact marriage with the elder sister’s daughter, so-called uncle-niece marriage (Good 1980, 1981). Frequent uncle-niece marriage subverts the neat symmetries at the heart of post-Dumontian ideas about Dravidian kinship, consanguine and affine are not easily distinguished (which is unsurprising as this is not a distinction that makes intuitive sense in Tamil), and “alliance” or “exchange” are odd words to describe the tight little cross-generational triangles of uncle-niece marriage: what exactly is being “allied” or “exchanged” with what? On this basis, Good was to conclude his own labours on South Indian kinship with a paper entitled “On the Non-existence of ‘Dravidian kinship’” (Good 1996). Good’s careful demolition of Dravidian kinship as an anthropological type is one important contributor to Clark-Decès’ escape from the burden of the literature; the other key to her final analysis is her encounter with the work of a young scholar. Indira Arumugam’s highly original PhD thesis (2011) on the Kallars of Tamil Nadu supplied two positive insights to complement Good’s exemplary critique of what had gone before. One was her account of the centrality of agonism and violence to the self-representations of her particular community of Kallars. The other was the vocabulary of “rights” or “claims” with which Kallars navigated their own universe of relatedness. Good had already drawn attention to the idiom of urimai, which he translates as “claim”, and its importance in identifying potential spouses – a man might identify a specific girl to whom he is related as the woman for whom he has a claim (Good 1981: 117). Arumugam’s analysis goes much further than this. For her, the Kallar conception of rights, grounded in this kind of kinship claim on another, forms the base of an entire political theory, and her thesis is an extended exploration of the implications of this insight. I still feel that my family spoilt her life and mine. I should have eloped with her. I had the right to do so. Had we married, she’d still be alive today; instead she died before my wife did. What is it like to inhabit a social world in which it is possible to imagine that one has an absolute right to another person, and this right is given in the simple facts of genealogical location? And what is it like to inhabit that kind of social world and yet see one’s rights blocked, refused, denied? These questions lie at the anguished heart of The Right Spouse. In the chapters that follow the twinned stories of Mayandi and Neelam, Clark-Decès thickens and complicates the analysis so far. First she focuses in more closely on the implications of marriage with the elder sister’s daughter, and what it might tell us about relations between siblings, and relations between mothers and daughters. In this discussion, the voices of women begin to break up the earlier, predominantly male perspective. Idioms of love and sacrifice are added to the interpretive mix, as she starts to systematically elucidate what she tentatively describes as “a common culture of kinship and fundamental notions of relatedness” (77), which underlies all the different forms of actually existing marriage one might encounter in the Tamil world. Perhaps the most fundamental distinction of all is between “kin” (contam), a term which embraces all acknowledged relations – both “kin” and “affines” in anthropological terms – and “others” (anniyam). A core motivation is “the dread of being separated from people who are like them (contam) and of having to “join” with others who are different (anniyam)” (99). The playing out of this principle in practice produces a tangle of involuted connections, marriages to both near and distant kin that exceed the bounds of anthropological typology, and “defy any notion of system” (98). Invoking a rather different authority, Bourdieu on matrimonial strategies, the author returns to the biographical narratives that form the spine of her argument. The final three life stories at first lead the reader deeper into the entanglements of Tamil relatedness, and then, in the last two, gradually out of the claustrophobia conjured up so far and into a changed landscape of future-oriented youthful aspiration. The story of the man she calls Thiagu, is the only case in which more than one point of view is presented. Thiagu is a melancholy man the author first encountered in her very early days as a language student in Tamil Nadu. Then he was a bringer of fun and laughter, who “filled the air with lightness and beauty.” The man who turns up nineteen years later is barely recognizable. Now he is a drinker and a man touched by darkness. Although he wants to work as an assistant, that seems not to be an option, so instead he becomes an interlocutor, who fills the hours with bitter tales of closely entangled marriages in his immediate family. The marriages are both convoluted and at times violent. Here Clark-Decès switches informant to continue the story from the perspective of Thiagu’s aunt. Her tale of these tangled marriages is punctuated by death, and darker still, suicide, which takes away the aunt’s husband, and Thiagu’s sister among others. Suicide, and the threat of suicide, as elsewhere in the region, is a token or chip to be thrown down in the ongoing game of familial relatedness. A suicide is rarely a solitary act, but is instead usually aimed at someone in particular – a parent, a partner. In taking us through the dark history of Thiagu’s family, Clark-Decès reverts again and again to metaphors of fetters and chains, pointing out that this is an image used frequently by her interlocutors in the field when talking about their own family histories. At this point, the book reconnects with the original project that had returned Clark-Decès to Tamil Nadu – the decline in marriage with close relatives. After a review of the demographic evidence, she turns to another would-be assistant, a young woman called Abirama or Abi. Abi is a young woman with a college degree but no job. She invests considerable energy in resisting attempts to marry her off to an appropriate close relative: so long as she can find work and bring in money, her family allow her this much freedom. Behind her aversion to marriage with close family is a more general aversion to marriage in general, an aversion which the author traces to the behaviour of her drunk and dysfunctional father. She is last heard of far away in the city, sending breezily upbeat emails: “The future you see is the future you get” (138). Finally we meet Sunil and Mohan, whose tales of love I cited at the start of this piece. Mohan stands in contrast to Abi (as the pair of them do to earlier, and older, characters like Mayandi, Neelam and Thiagu). Mohan is a young man of relatively conservative bent, concerned to appear respectable and upright. He invests his energy in writing poems to a young woman who slipped away from him years earlier. Sunil is a young man ruined, as he sees it, by a disastrous relationship with a young woman. When she jilts him, he turns to drink, and in the wreckage of his life, he also loses the chance to marry his preferred cousin, who only too late he sees as the ‘right’ girl for him. Sunil and Mohan, and hundreds of thousands of young men like them, are structurally condemned to long-term bachelorhood, forced, like Bourdieu’s (2004) unmarried young men in Béarn, to rationalise the new chains of not marrying. At one point in the discussion of Mohan, Clark-Decès comments on the tendency for young Tamil men “to look to the past for love.” This desire for retrospection seems to me to be a clue to a larger structure of feeling which informs the whole book. This is a book about decline: even if the decline of close-kin marriage is only sketchily delineated in these final chapters, there is also a sense of decline in other certainties. Once vibrant neighbourhoods are now semi-deserted as people move away. Old ways of imagining kinship and connection may seem impossibly claustrophobic, but for most young people, no plausible new alternative exists. Many of the people we meet embody some aspect of decline. Men who were young and full of life decades earlier re-appear, now hollowed and defeated by life, and by the alcohol they consume to deal with life. Here, I’m reminded again of Chekhov’s characters, clinging to the fading dreams of their youth as the old order collapses, while the first hints of an accelerating history start to appear on the horizon. The Right Spouse is a wonderful book, but it is by no means a perfect book. I read it as a book about changing marriage in Tamil Nadu which, to some extent, was taken over by the sheer force of the ethnographic encounter. The stories of unhappy men like Neelam and Mayandi forced themselves upon the ethnographer and probably derailed the tidier analysis she was trying to complete. Although she carefully notes the subtle and not-so-subtle differences in marriage practice between the different communities she draws on, the spectre of “Dravidian kinship” sometimes lures the reader into drawing out generalizations, which the book as a whole is working to undermine. The topic of youth is raised towards the end but left a little incomplete, as if to allow the writer a reason to return, a loose end deliberately left exposed in order to justify some later rethinking. Clark-Decès’ previous book, The Encounter Never Ends (2007), finishes with a brief meditation on the contingency of our ethnographic interpretations: an interpretation is only ever true or complete at the moment in which it was made; something that then went unnoticed may leap out later and demand a radical rethink in the light of some new experience. In that earlier case, it was only long after her original fieldwork in that particular setting that she was able to see and acknowledge the aspects of her own life at that time, the breakdown of key personal relationships, that occluded her ability to see what has happening in front of her in the field setting. Or rather, that occluded her ability to see it in a particular way. That meditation is quite evidently the product of an unusually committed and unusually gifted fieldworker. Isabelle Clark-Decès was a relative late-comer to her calling as an ethnographer. 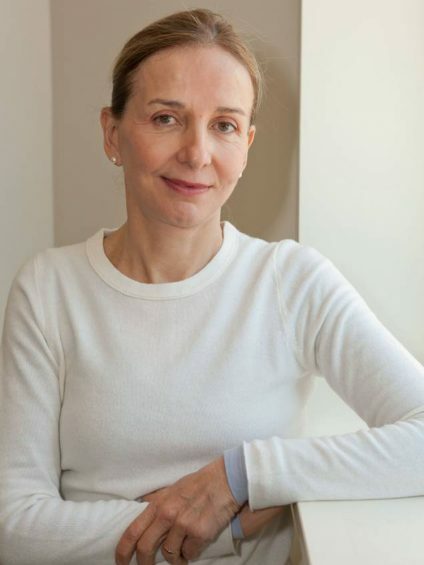 After travelling in India, Clark-Decès arrived at Berkeley in the 1980s, in John Bornemann’s words as “a wild, young French girl wanting experience in California.” She completed her PhD on spirit possession in 1995 and moved to Princeton the following year. From there, she published four monographs, and a small number of jewel-like articles, predominantly on aspects of ritual, based on her ongoing research in Tamil Nadu (the first book as Isabelle Nabokov, the later ones all as Clark-Decès). All her books reflected a core commitment to the primacy of fieldwork, and in a thousand marginal details, all suggest a woman of quite exceptional warmth, someone who would listen to her interlocutors with all her heart (as well as all her considerable intellect). Isabelle was a person of great integrity and personal purity. She processed thoughts and emotions with staggering rapidity. It was often as if there were no filter between the rawest level of concept or feeling and sophisticated thought or unalloyed emotion. This could occur in a nanosecond, with varying results and consequences. She was speedy, a fact that everyone knew about her intimately. To be as speedy as she was had an obverse: she would tire quickly. She was immensely personable, but did not like to be with people for very long; she needed to retire into her worlds of literature and anthropology within an hour or two at the most. She was indeed the right anthropologist. I am grateful to Chris Fuller and Janet Carsten for their thoughtful comments on an earlier draft of this piece. Arumugam, I. 2011. Kinship as Citizenship: State Formation, Sovereignty and Political Ethics among the Kallars in Central Tamil Nadu. PhD thesis, London School of Economics. Bourdieu, P. 2004. The Peasant and His Body. Ethnography. 5(4): 579-99. Clark-Decès, I. 2007. The Encounter Never Ends: A Return to the Field of Tamil Rituals. Albany: SUNY Press. Dumont, L. 1953. The Dravidian Kinship Terminology as an Expression of Marriage. Man. 53: 34-39. Dumont, L. 1986 . A South Indian Subcaste: Social Organization and Religion of the Pramalai Kallar. Delhi: Oxford University Press. Good, A. 1980. Elder Sister’s Daughter Marriage in South Asia. Journal of Anthropological research. 36(4): 474-500. Good, A. 1981. Prescription, Preference and Practice: Marriage Patterns among the Kontaiyankottai Maravars of South India. Man. (n.s.) 16(1): 108-129. Good, A. 1996. On the Non-existence of “Dravidian Kinship.” Edinburgh Papers in South Asian Studies 6: 1-12.